New Friendship Baptist Church Outreach Ministries will host a citywide celebration honoring Alicia Reece for her 20 years of public service on Sunday, April 28, at 11 a.m. at New Friendship Baptist Church, 3212 Reading Road, Cincinnati. 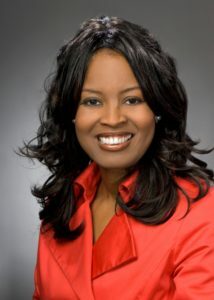 In April 1999, Reece, a member of New Friendship Baptist, announced her run for Cincinnati City Council. The race energized young people and volunteers. She would go on to win a seat on Cincinnati City Council, making her the youngest woman in history. 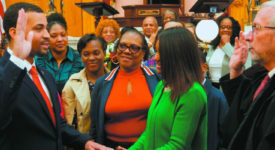 The election changed politics in Cincinnati, as it opened the door for other young adults and women to run for office and it changed the council make up. Reece would go on to become vice mayor, run for mayor, be appointed deputy director of tourism for Ohio Governor Ted Strickland’s administration, and later be elected for four terms as state representative. Due to term limits, Reece left the legislature this past December. While her career in public service is far from over, she has many options in the future. She is working in real estate development and serving as director of the proposed historic Dream Campus Commercial Real Estate Development, an innovative faith, housing, and multi-use development anchored by New Friendship Baptist Church in Avondale. Reece was a key champion in establishing the new Interstate 71/Martin Luther King Jr. exchange in Avondale in honor of Dr. Martin Luther King Jr.
During the celebration, Reece will make an announcement regarding this major development. What an honor to be a part of this historic celebration. I remember when Alicia first announced her run for City Council. My grandchildren were proud to March in the parade. Congratulations and job well done!